Daisies, a member of the Asteraceae Family, are not only gorgeous but easy to grow under normal conditions. 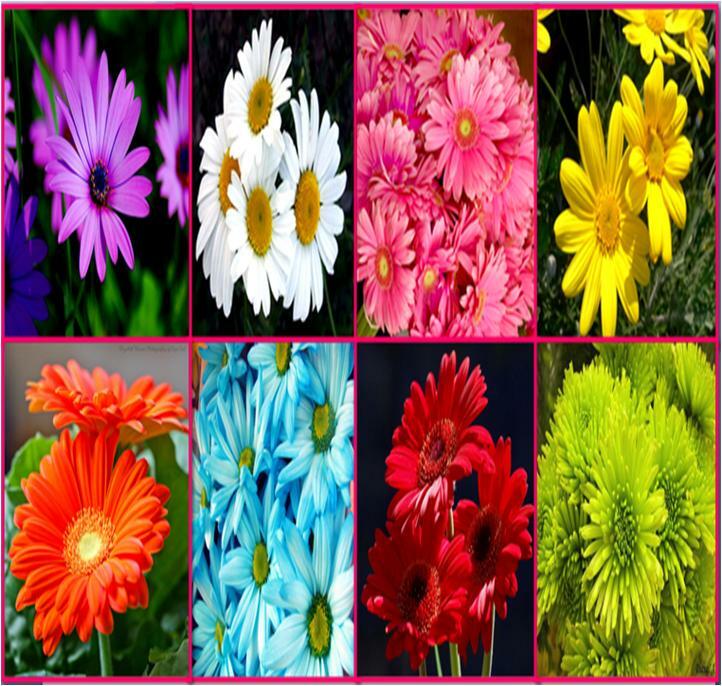 That is the reason why daises are one among the very popular choices for gardening enthusiast. You can grow them in the flowerbeds of your house, plant pots or the recyclable containers. You can also take advantage of the colorful daisies in many ways. For example, one can place them in a vase for elegant decoration, in the making of corsages and as a house plant. With slight care and attention, you can make the delicately beautiful daisies return for years, flattering the overall look of you house with teeming and dazzling blooms. Daisies prefer rich and well-drained soil. Cover the roots of the plants with thick layer of rich soil. Weeds and other debris can eat up the major portion of the nutrients in soil. So rake in the area around the daisy plants, using a garden-rake. However, make sure that the roots of the plants are not exposed as they can dry out in the sunlight. It is better to do raking in late fall when you are getting ready to prune the daisy plants. Most gardeners recommend applying fertilizer to every plant in order to get it to grow productively. On the other hand, that is not the case with daisies as they are very tough plants by nature and don’t need fertilizing. You are welcome than welcome to add very minimal quantity of plant fertilizers to the water that you used to feed them or to add some natural fertilizers. Daisies prefer the soil to remain a bit damp. Water them when the soil is slightly dry. Do not wait until the soil dries out completely as it can make your daisies wilt suddenly. Avoid overhead watering as it can cause the stems of the daisies droop, giving birth to fungal diseases. Like all other plants, daisies need proper sunlight to grow well. However, it is always recommended to avoid direct and full sunlight as it has a drying effect. Apply adequate mulch to protect your daisy plant during fall and winter. Make sure to spread about 2 to 3 inches of mulch on the soil around your daisies in order to make sure that it completely covers the roots. It helps in reducing the too much evaporation of moisture from the soil and helps in maximizing the absorption of water from rainfall. Moreover, mulching is a helpful technique to control weeds growth around daisies and to protect them from dirst during the blooming phase. Pruning is useful to maintain proper shape of the daisy plants. Once your daisies grow to about 5 to 6 inches, use sharp gardening scissor to cut off their stems. Moreover, trim the dead stems and deadhead the blooms on a regular basis for more productive and longer blooming phase. However, make sure to avoid cutting back the leaves until after the frost in the fall.